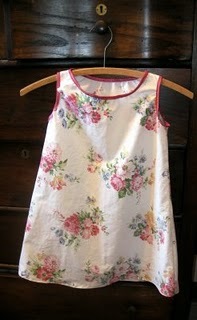 Miss Prickly from My Inner Old Lady shares a tutorial at All Things Vintage Sheets showing how to make a girl’s nightgown out of a pair of vintage pillowcases. So cute!! Of course, if you don’t have a pair of matching pillowcases, you could easily use a vintage sheet or even some favorite cotton yardage for this project as well. Go to the tutorial.